Recently, our NE Portland office got involved with an organization known as New Avenues for Youth and participated in their holiday donations program. New Avenues for Youth delivers support and resources to foster, at-risk and homeless youth so that they can realize their potential. And every year New Avenues for Youth provides holiday gifts for youth experiencing homelessness and those in foster care. 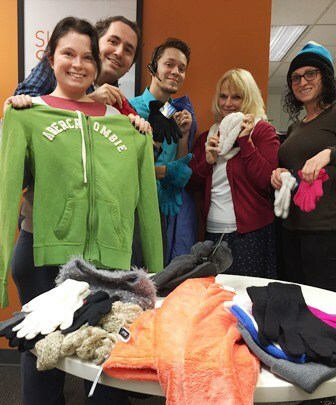 Together, Josh Byrnes and his NE Portland team purchased hats, gloves, scarves, and coats and delivered them to New Avenues for Youth. Thanks to their generosity, several community youth will have a happy and warm holiday. We love seeing our NE Portland team put TERRA’s values into practice and give back to the community. If you are interested in learning more about New Avenues for Youth, click here.